Make sure you have 3.5.11 if you are using Mavericks. 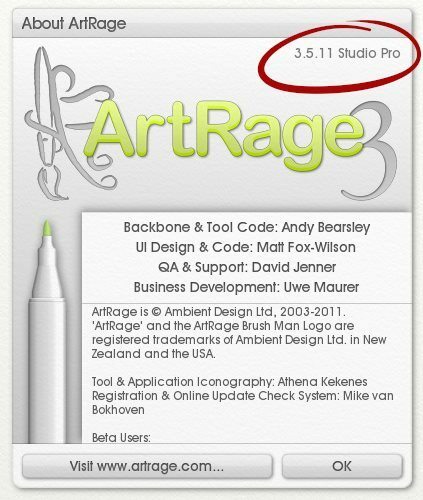 While the current version of ArtRage 4 works with OS X 10.9, the older Studio and Studio Pro versions do not work correctly. An update has been released to address this problem and you can find details in our forums in this thread – OS X 10.9 Mavericks – Studio & Studio Pro 3.5.10 Update.